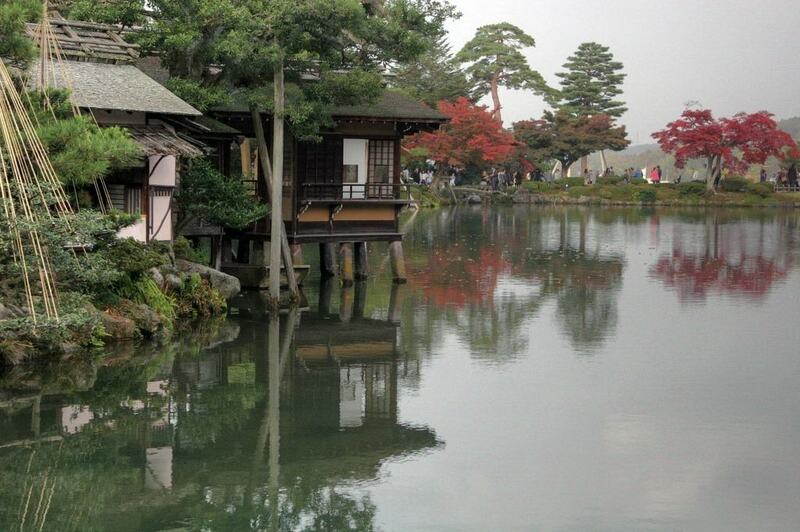 Kanazawa is known as the ‘little Kyoto’ of Japan! 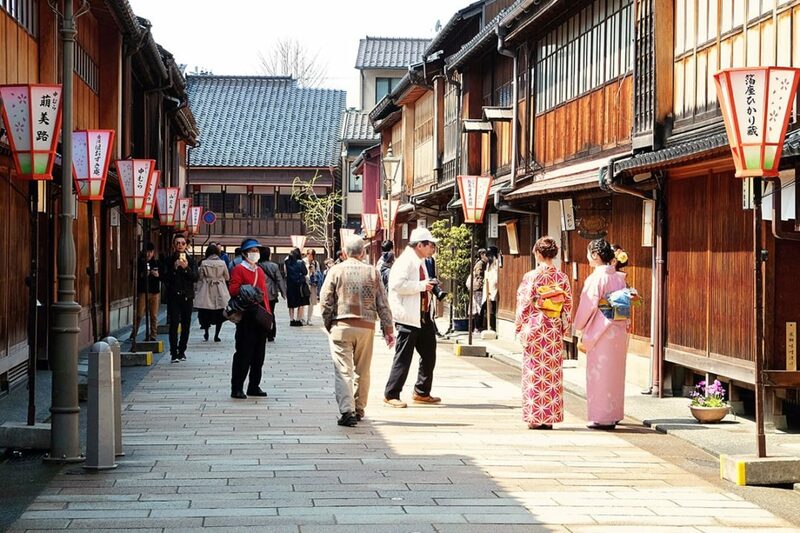 You can easily step back in time at the main Kanazawa attractions which can be found in the well-preserved Edo-era districts. 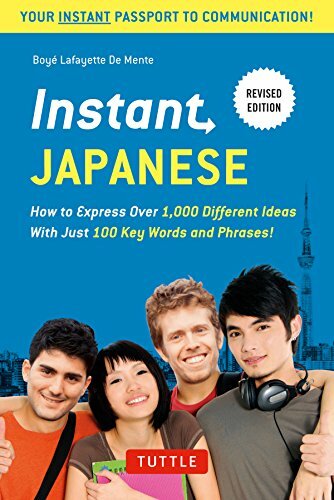 TIP: The quickest and easiest way to get from either Tokyo or Kyoto to Kanazawa is via a shinkansen! The cheapest way for a tourist to travel on the shinkansen is with a JR Rail Pass. You have to purchase tickets prior to arrival in Japan and you have the option of choosing from either a 7, 14 or 21-day pass! GRAB YOUR TICKET NOW before you forget! 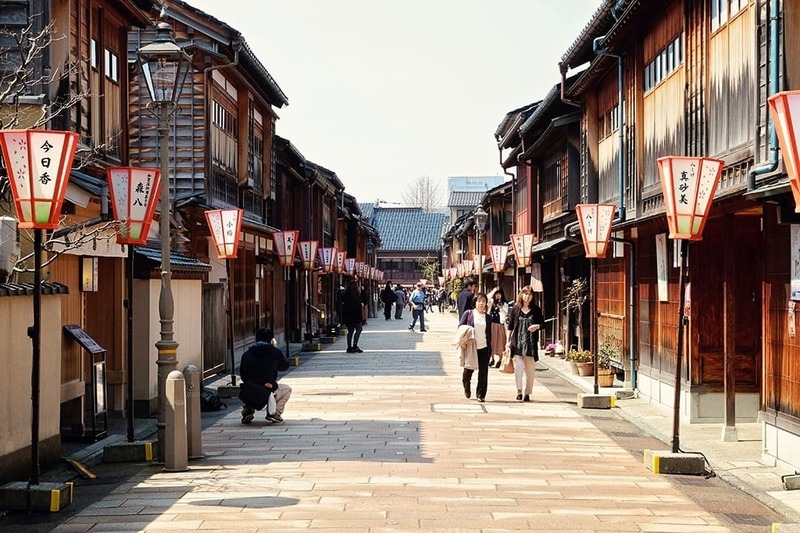 Whilst the main Kanazawa attractions are spread apart from each other, you can easily visit them all by hopping on and off the local Kanazawa Loop Busses. 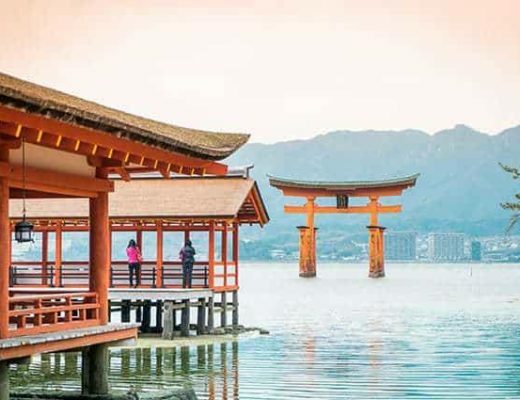 If you purchase the one day pass; which costs 500 JPY (adults) and 250 JPY (for kids); you can hop on any of the 4 busses (Kanazawa Loop Bus – Left, Kanazawa Loop Bus – Right, Kenrokuen Shuttle or the Hokutetsu Local Bus). They all run on regular 15-20 min intervals. The bus you will take depends on which destination you would like to see! 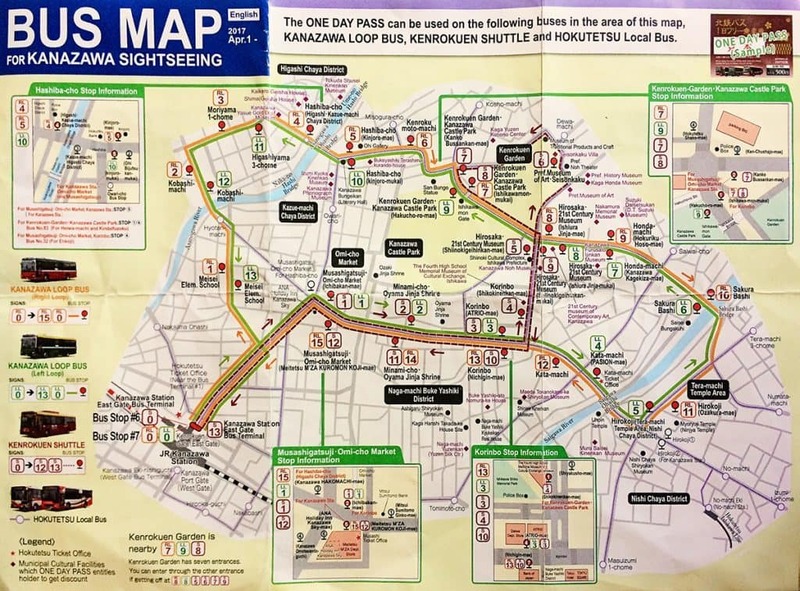 So it would be handy to either print out this map or to grab one of these from your hotel or the bus office where you will need to purchase your tickets from. We made our start at the Kanazawa Train Station as our hotel Ana Crowne Plaza Kanazawa was based super close by. We chose to make use of the Kanazawa Loop Bus (Right Loop); which is indicated with the orange line. Our first stop was Higashi Chaya which is located at RL4 on the map! The Higashi Chaya District that is located at RL4 on the map, happens to be the largest and most impressive of the Chaya districts in Kanazawa. The area is a well-preserved geisha area. Most of the houses have now been converted into restaurants or teahouses, but one still remains. We truly enjoyed our visit to the Shima Geisha House. 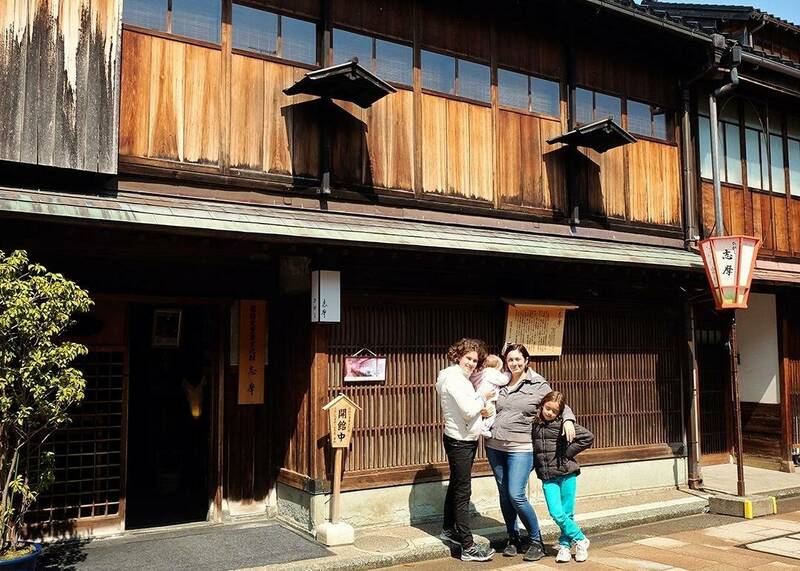 The house dates back to the Edo Period and gives you a fabulous insight into what it was like to live in a Geisha House back in the 19th century! The house truly is beautiful and we loved the tiny little Japanese garden that you will find in the inner courtyard of the house. Entry to the Shima Geisha House will set you back by 500 JPY. 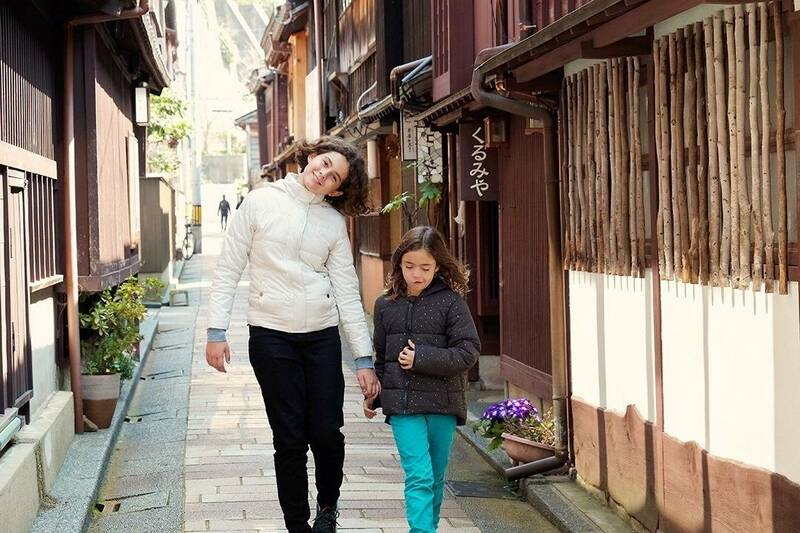 It was truly lovely having a wander around the Higashi Chaya District! We were lucky to have a pretty quiet and peaceful experience there. If you have time, it would also be worthwhile to cross over the river and visit the smaller and less crowded Kazuemachi Chaya Area. One Day Trip to Shirakawago, Gokayama, or Takayama! – Check it out and Book now! 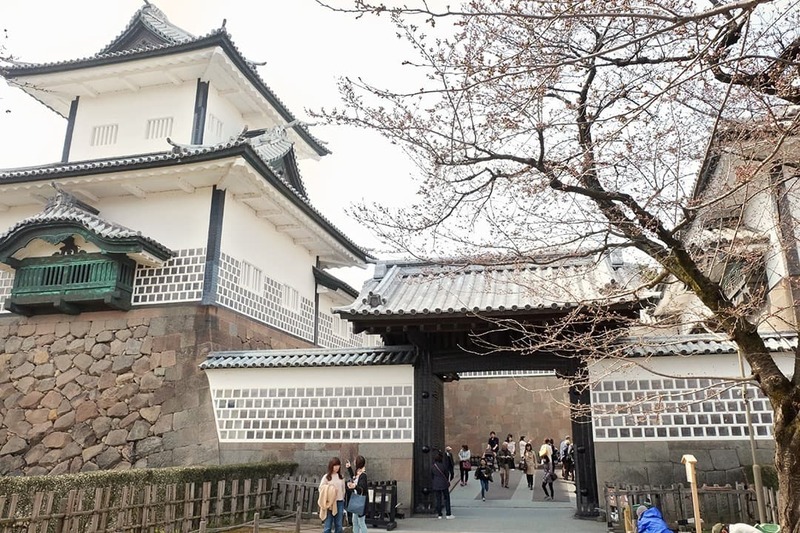 Explore the city of samurai Kanazawa in a full day tour! – Check it out and Book now! 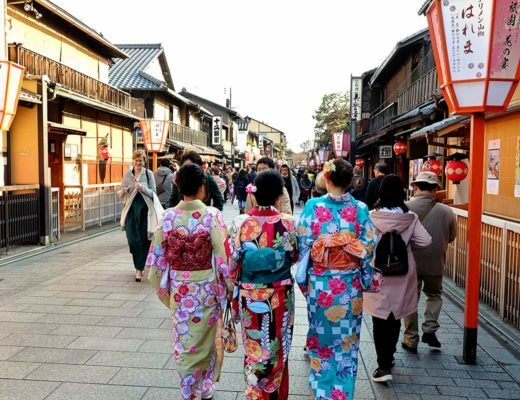 Enjoy a Kimono dress up experience in Kanazawa – Check it out and Book now! Experience Shodaigyo Meditation near Higashi Chaya, Kanazawa – Check it out and Book now! The original castle of Lord Maeda Toshiie was burnt to the ground. So the castle that you will find here is one that has been rebuilt over the years! None the less the castle is simply gorgeous! We were so disappointed that we missed the cherry blossom trees in bloom by only a few days, as the castle park would look stunning at sakura time!! The kids absolutely loved running around the park. 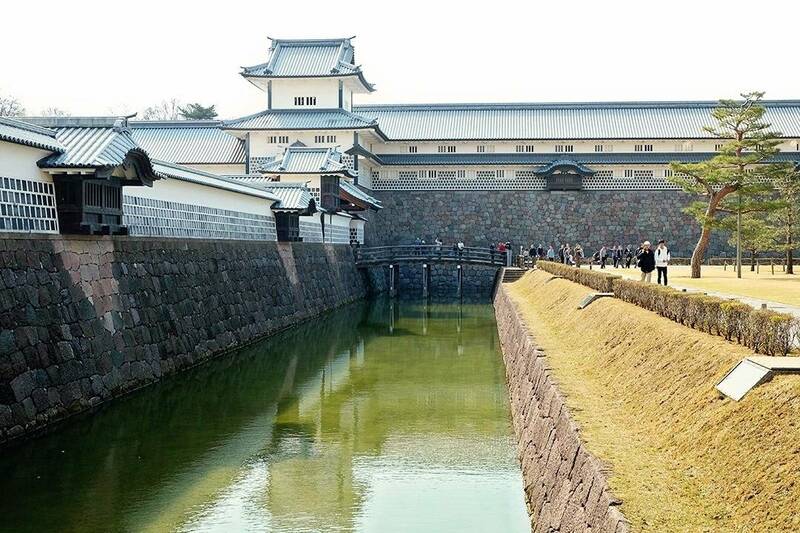 You can also climb up into some of the reconstructed walls where you enjoy lovely views of the surroundings of Kanazawa! We could see the beautiful snow-capped Mt. Hakusan in the distance! We also enjoyed watching some photoshoots that were happening!! And couldn’t resist grabbing our own shots haha. 3. Kenroku-en Kanazawa Garden | Traditional Japanese Garden! 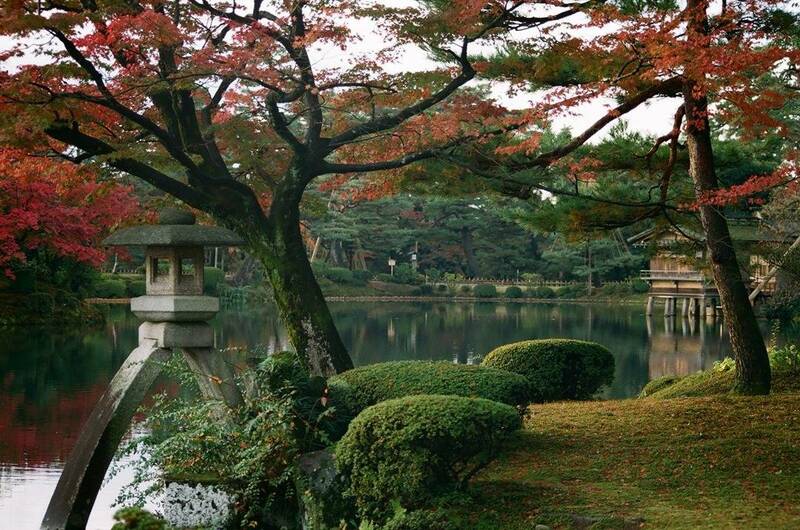 The Kenroku-en Gardens in Kanazawa has been ranked as one of the top 3 gardens in all of Japan!! 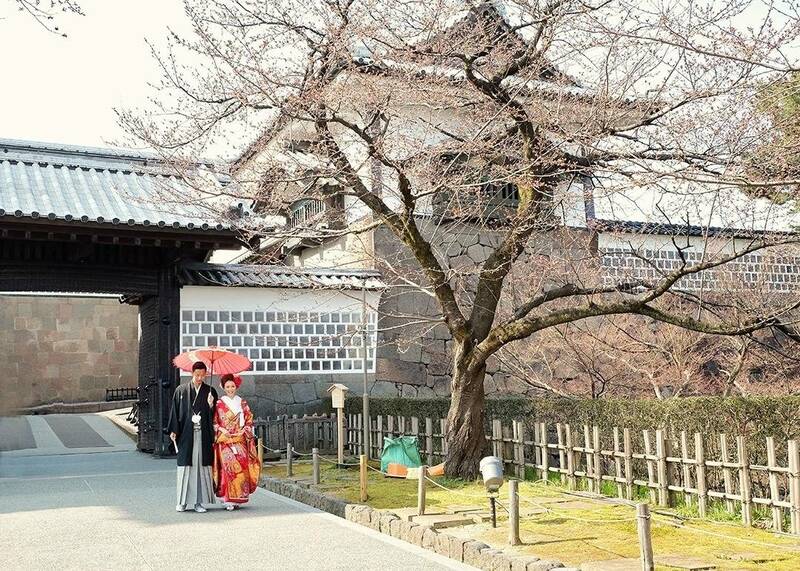 It is almost 12 hectares (29 acres) in size, and lives next to the beautiful Kanazawa Castle. If you have some time, why not slow down as you explore this gorgeous traditional Japanese garden! Wander around the many pathways that take you around ponds, waterfalls, fountains and native flora. The gorgeous stone bridges and stone lanterns will lead you to some gorgeous little teahouses that are tucked away here and there. The garden is beautiful in all seasons, but looks extra impressive in Autumn! If you are following our itinerary, simply walk across the road from the Kanazawa Castle to the Garden. Both of our daughters are a little ninja crazy! So we were really looking forward to visiting the so-called 500-year-old Ninja Temple of Japan! Myo-Ryu-Ji Temple lies in the Tera-Machi Temple District. Overall there is really not much for the tourist to see in this district and we kept on questioning whether we were in the right spot! Apparently, the Myouryuji temple was created as shields from the sudden attack of Tokugawa Shogunate. The temple is still in its original shape and contains many tricks to escape from emergency attack. Unfortunately, we could not enter the temple. We had our baby with us and children under preschool age are not permitted. I wanted to take our other two daughters in, but as we did not have a passport for Lily (who was 7), they would not let us in (and to be honest, overall they were a bit abrupt and rude about it). So I’m not sure what the inside of the temple is like, however, we all wished that we could have gone on the tour! If you are following our itinerary, hop back on the orange Kanazawa Loop Bus (Right Loop) and hop off at stop RL11 – Hirokoji. 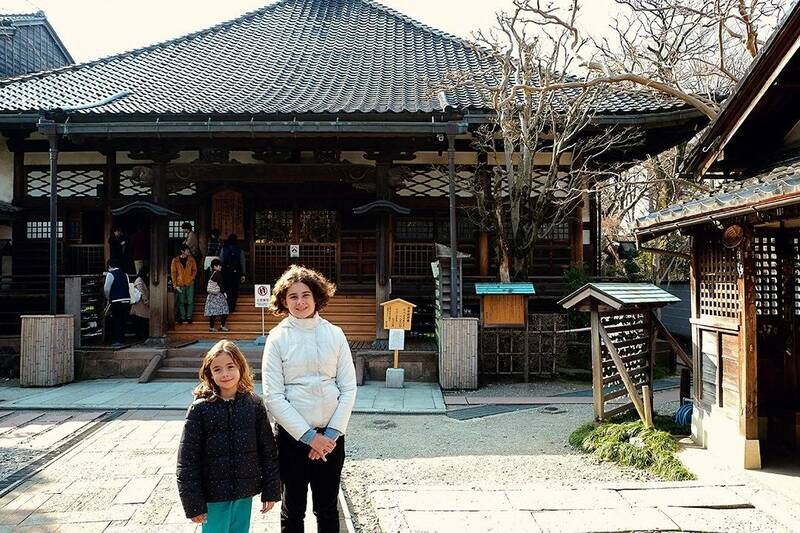 Admission Fee: 800 JPY – Children under Preschool age are not permitted! 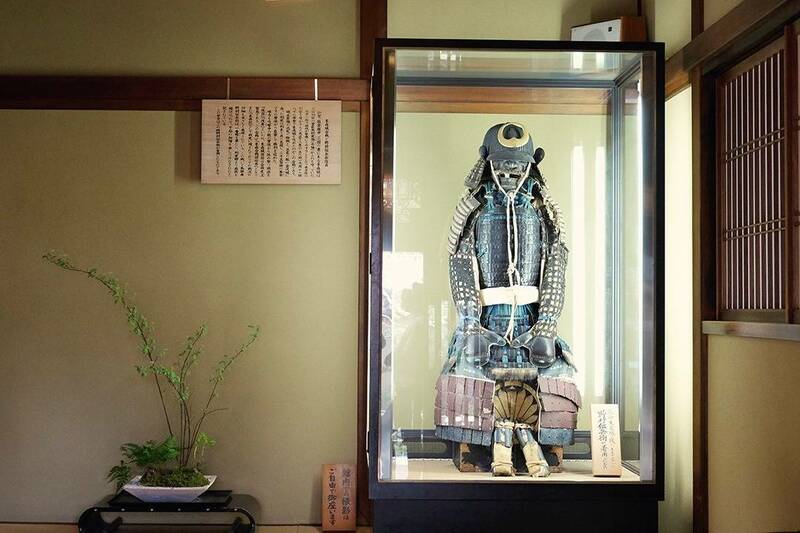 The Nagamachi District is well known for all of its well preserved samurai houses. The area is lovely as it features some beautiful cobble street alleys. The houses are located along two canals that run through the area and you can also find some lovely cafes and restaurants there as well! Several of the houses have been restored; one of which you can enter. The Nomura Family Samurai House is beautiful. It costs 500 JPY to enter and you can also enjoy a traditional tea ceremony on the upper level of the house! If you are following our itinerary, hop back on the orange Kanazawa Loop Bus (Right Loop) and hop off at stop RL13 – Korinbo. Omicho Market is well worth a visit. 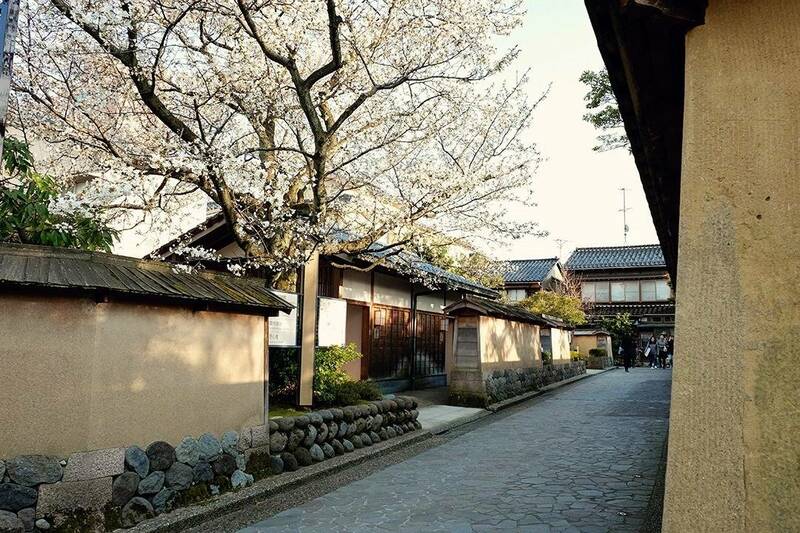 It has been in the center of Kanazawa for more than 280 years. 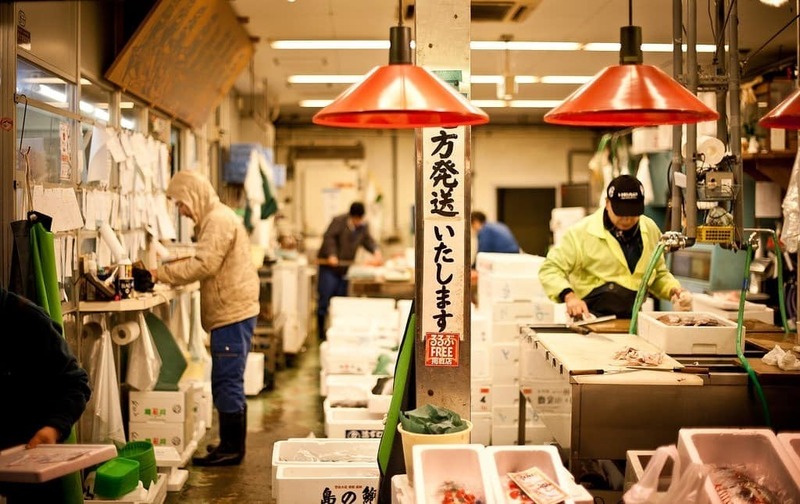 You will find a wide variety of produce in the market – fish, to vegetables as well as your normal grocery stores. You can also try some fresh fish sushi in some of the stores. We always love checking out markets when we travel to other countries! If you are following our itinerary, hop back on the orange Kanazawa Loop Bus (Right Loop) and hop off at stop RL15 – Musashigatsuji. You will most likely end your day of explorations at the Kanazawa Station. So take a few minutes to appreciate this pretty unique station. 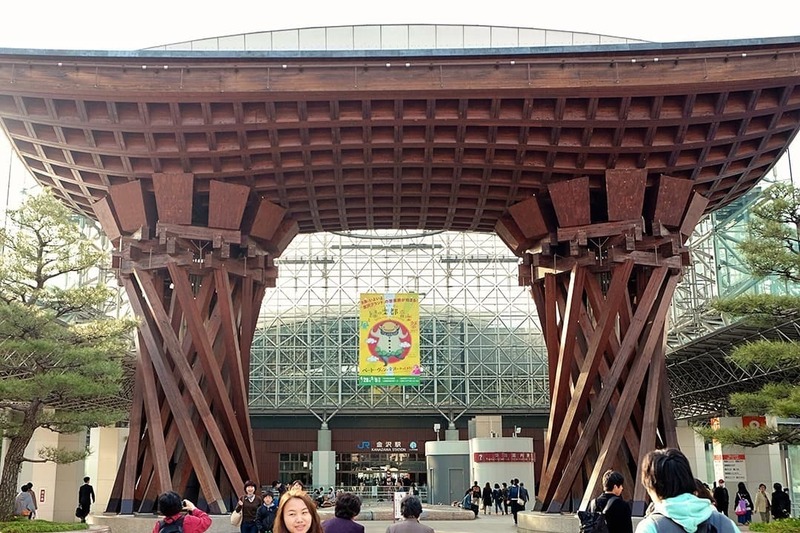 At the entrance, you will see a pretty impressive huge wooden gate; which is called the Tsuzumimon. The gate sets a lovely historical feel to this city! Inside the station, you will see a splendid huge glass dome, which is called the Motenashi Dome. The dome looks a bit like an umbrella and many locals will tell you that the dome offers an ‘umbrella’ to the visitors as Kanazawa tends to have plenty of rainy days! If you are following our itinerary, hop on the Kenrokuen Shuttle and hop off at the last stop S13. You can see some of these attractions on our Kanazawa YouTube video! I think we stayed in the perfect hotel in Kanazawa! The ANA Crowne Plaza Kanazawa is all about luxury and comfort!! You can even choose from a range of pillows to find your perfect level of ‘softness’ for your snooze!! They have eye masks, bath salts and not to mention the awesome massage chair that lived in our room! The massage chair was on high demand! After all the walking we had done in Japan, it was absolute heaven to relax whilst the muscles got a good workout! They have rooms that can fit families, which is fabulous!! 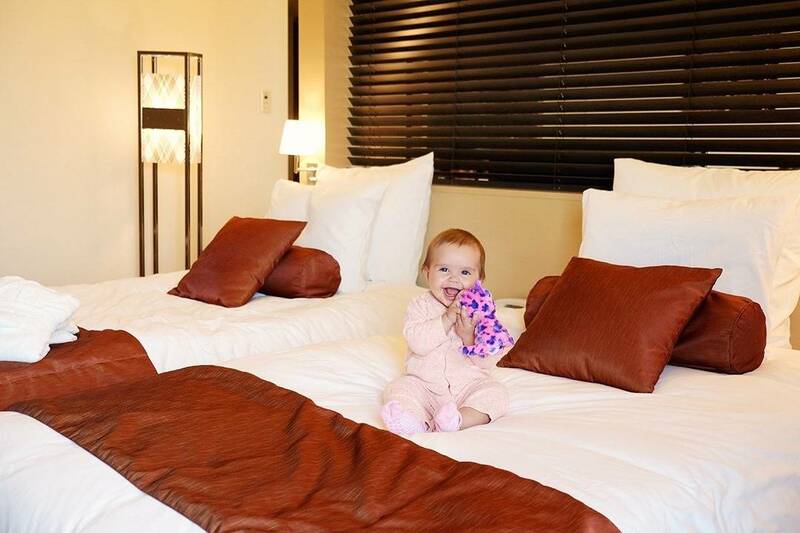 The room was spacious and we even had enough place to set up baby Avie’s little KidCo PeaPod Travel Cot. The staff at ANA Crowne Plaza Kanazawa was absolutely brilliant! We even called them up to come and translate baby formulae instructions for us! We had a few hiccups in our itinerary plans; especially in relation to transportation to our next destination and honestly the staff went above and beyond trying to help us find a solution!! We were thankful for their friendly, helpful attitudes!! After a pretty stressful morning, we ended up settling our nerves by enjoying one of their gorgeous cakes!! Isn’t this slice of cake soooooo pretty! And it was pretty yummy too!!! Thank you to all the staff who helped us solve our problem! The hotel has a brilliant restaurant on the top level and, if you can, we highly recommend you head up to the skybar to enjoy a cocktail whilst checking out the glistening lights of Kanazawa at night! 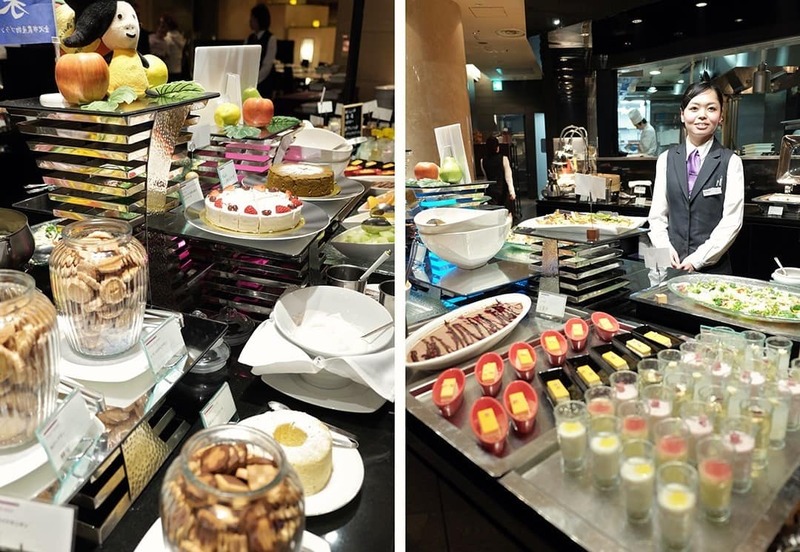 We truly enjoyed our delicious buffet breakfast each and every morning! There was a wide variety of options of food, both for those after something Western or those after something Asian! The girls were happy and even little miss Avalee-Rose enjoyed her selection of fruit and yogurt!! They also had a gorgeous buffet dinner on during our stay! 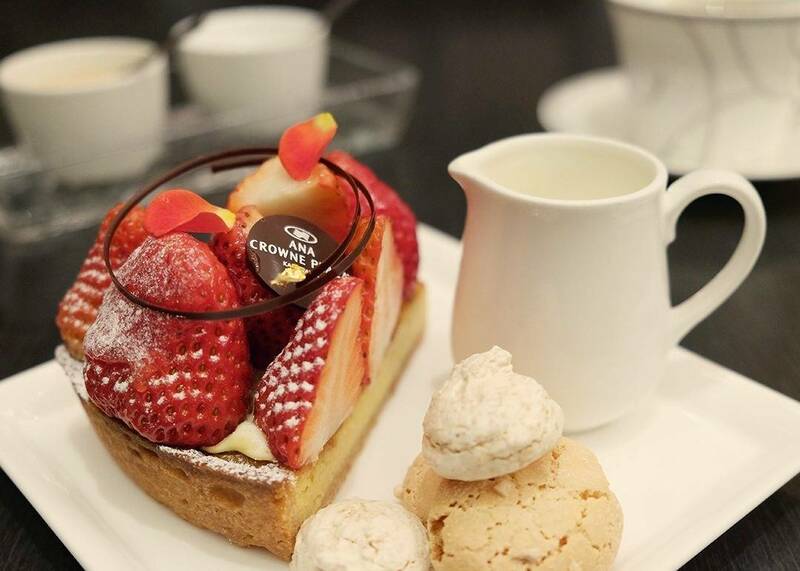 Just check out this range of dessert – uhm – yummmmm!! We loved our stay at ANA Crowne Plaza Kanazawa and highly recommend them to anyone who is looking for a place to stay in Kanazawa! * We received our room at Ana Crowne Plaza Kanazawa at half rate. Thank you to the IHG Group for organising this stay for us. All thoughts, opinions and experiences are our own. We pride ourselves in delivering honest hotel reviews. The Perfect 3 Day Kyoto Itinerary | Where to Stay in Kyoto! Kanazawa is amazing. I haven’t thought that there are so many attractions. Definitely, my favorite is Omicho market. If there is many fish, the smell might be very strong, but the pictures and the images you see are the best. Congratulations for this post. Markets are always so interesting! Especially when it is a local market rather than those designed for tourists! You would love the Omicho market! Wow — this all looks and sounds amazing! 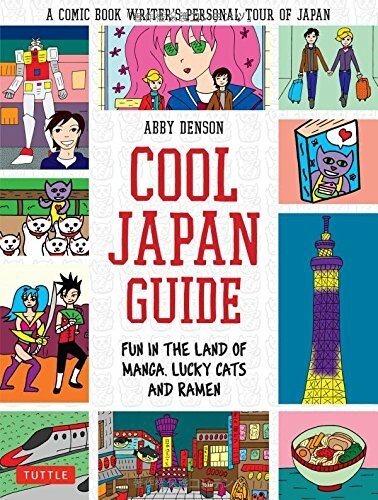 Thank you for the detailed guide. 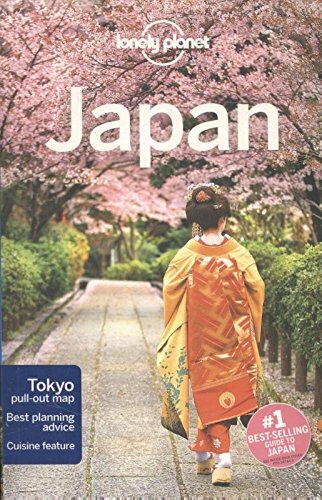 I LOVE Japan but have only been to Kyoto, Tokyo, Osaka, and Fukuoka. 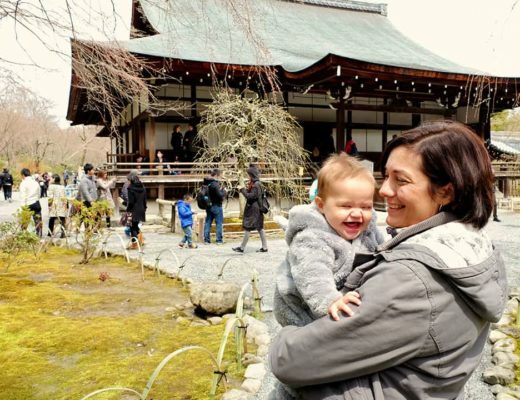 I’d love to go back soon and will have to add Kanazawa to the list! The shima geisha house seems to be a pretty interesting place to visit. Even the castle palace is simply gorgeous!! Even the traditional Japanese garden was really beautiful. The video was really nice as well as the photographs attached are really beautiful. I love traveling in Japan but I have never been to Kanazawa. I’ll have to go the next time. The architecture is really stunning. I like the look of your hotel too, especially that pastry! I’ve not been to Japan yet, but I think when I go Kanazawa is going to be on the list. I’ve never even heard of this city. The geisha houses look really interesting! I also really love your concept! 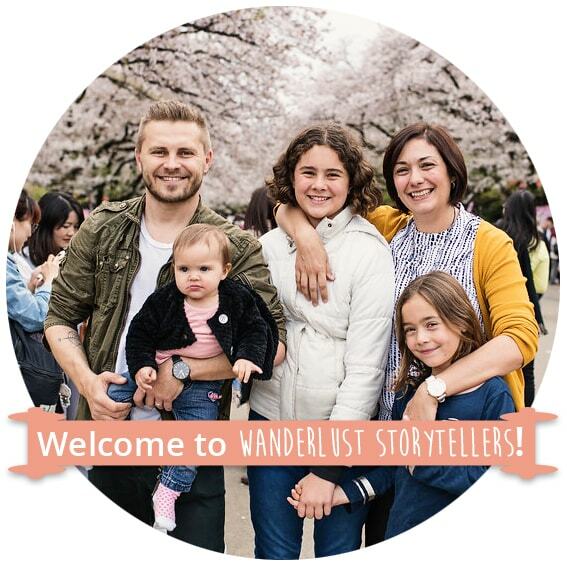 I’m in my first year of marriage and we’ve had many discussions about the future and how to continue traveling as much as possible after expanding the family. You’re such an inspiration and I can’t wait to follow more of your family adventures! Awwww, thanks Paige for the kind words!!! It does become more challenging, but of course seeing new places are worth it! !